As with all the other costumes I've ordered from Halloween Costumes, this was of great quality. I purchased this for my friend for a theme wedding we attended in Savannah, GA and it worked well (minus the dagger and blood). We were both impressed by the costume and fit. 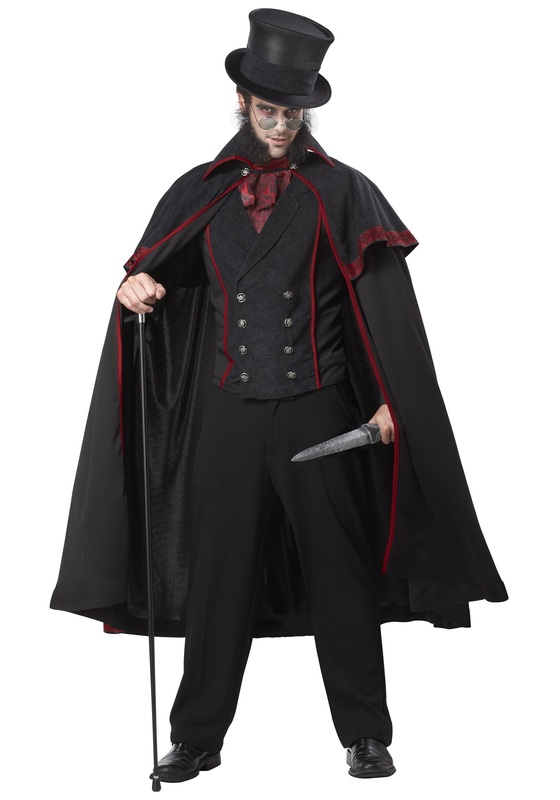 I love ordering costumes from Halloween Costumes because the quality and service are unbeatable. Thank you for helping make a great wedding weekend! The costume is well made, very theatrical and leaves a strong impression, fits well to the Gothic fiction/Gothic horror genre and is well crafted all in all. I had no issues with the hat and it fits well design and structure wise to the entire costume (In my opinion). You look great! 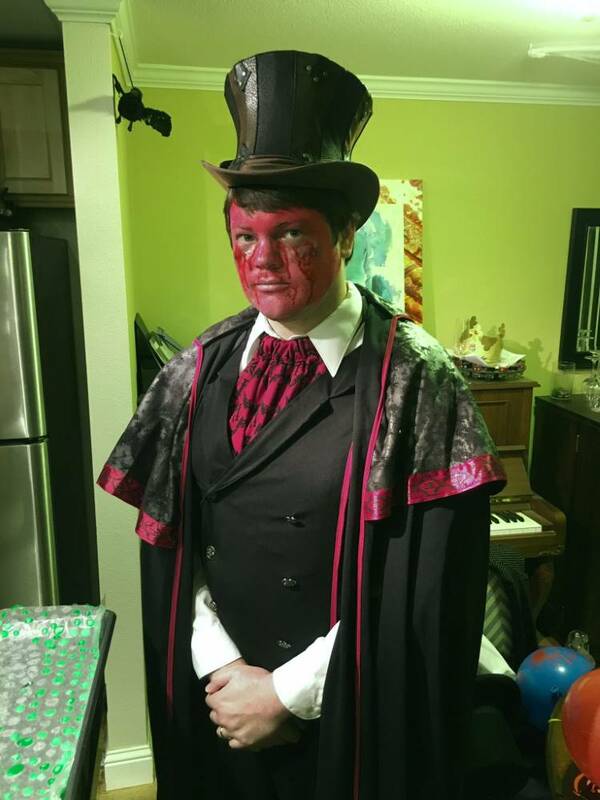 Thanks for the photo, and the review, we hope you have a great time in your costume and let us know if we can be of any further assistance. 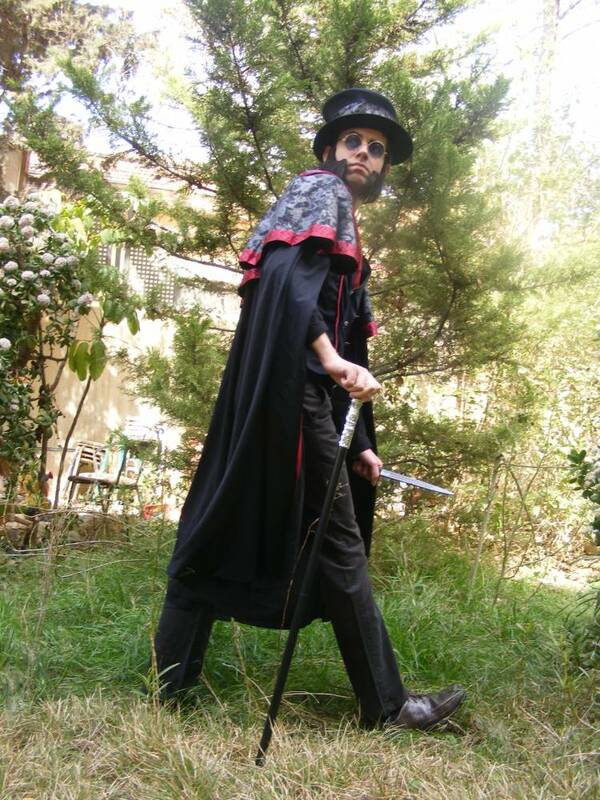 I was glad to find this costume to be the main brunt of my "Masque of the Red Death" costume this year. I didn't make use of the hat because I already had my own (although it's worth noting that the hat that comes with this is pretty flimsy and I wouldn't expect it to hold it's shape convincingly). 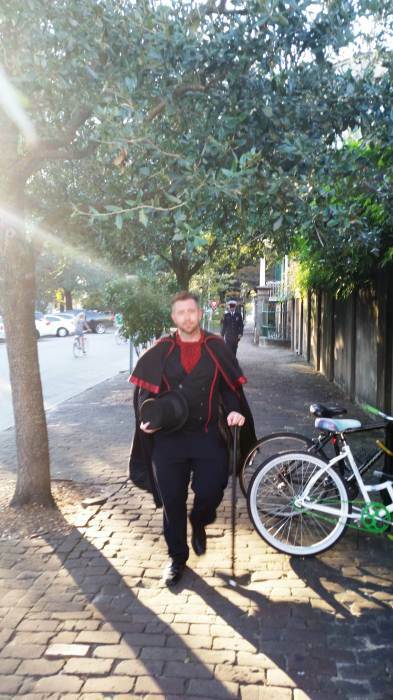 Other than that the cape, cravat, and vest are fantastic. The materials look expensive, but the vest was made out of a stretchier fabric, so it didn't feel restrictive. My only complaint here is that the shoulder pads in the cape can sometimes go rogue, and it would have been nice if they were sewn in place. It was never really a huge issue though. Overall it looked and felt great! I would definitely recommend! The costume came when it said it would come and just like the nun costume I got last year, it came in a handy plastic bag for storage. The costume's fabric seemed very nice and the colors were on point. The only thing that was a little troublesome was the vest, which seemed a little snug. I did measure my chest, but it wasn't with a proper tape measure and the snugness was more around my stomach, and it did work, so honestly, it's a fantastic costume! Based off of all the positive reviews I ordered this costume but sadly upon receipt it wasn't what I was expecting. Based off of the sizing tool I ordered a large (I'm 5' 9" / 175lbs). When the costume arrived I noticed the hat was all bent up and floppy making it look more like "The Mad Hatter's" hat the Jack the Ripper's. In addition the cape was way too long and the jabot was way too big. Last but not least, the mutton chops that I ordered were all clumped together and when pressed against my face were itchy. (I also learned that you need eyelash adhesive to make them stick to your face because the adhesive tape that comes with them is SUPER TINY). Luckily I contacted HalloweenCostumes customer service line and arrange to have this sent back so I'm about to pick something else to save the day.